Have you decided on a Sedan or SUV from our Alfa Romeo dealership in Fort Wayne, Indiana? If you’re considering financing your vehicle, get the process started with our online financing application. Our application form is completely confidential and your information will only be used for application purposes. 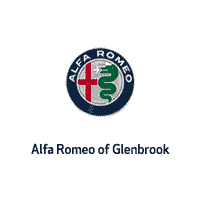 For more information, contact Alfa Romeo of Glenbrook near Indianapolis, IN or call us at ​260-702-9248.